Private 201417 Walter Edward Barlow, 1/4th Battalion, Hampshire Regiment. Walter was born in Speen in 1894 the eldest son of Alfred Barlow and his wife, Fanny Louisa (née Cook). The family moved to 7 Pelican Terrace in Speenhamland around 1898/9 where Alfred supported his growing family working as a labourer. Home to the Barlows from 1913. Walter went to Speenhamland School, probably leaving at the age of 13. By 1911 he had found employment as a milk boy. That same year the family moved two doors along the terrace to No 5, then in 1913 they moved again, to 14 Westbourne Terrace. This was also a very short move, a matter of yards to a parallel terrace. 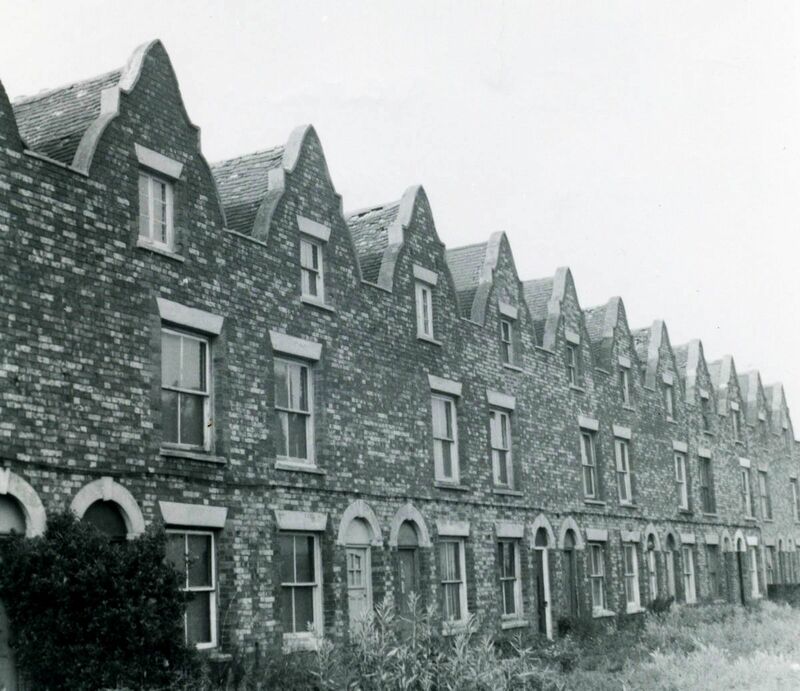 Unlike Pelican Terrace, Westbourne Terrace is still standing, suggesting that it was better quality accommodation. After war broke out Walter enlisted with the Hampshire Regiment, opting to serve with the 4th (Territorial) Battalion; his service number suggests that he signed up between April and July 1915. It is not known whether he volunteered for combat duty or he found himself ‘volunteered’ when the Territorials right to stay on home or garrison duty was removed in January 1916. Certainly he did not arrive in a theatre of war before 1916 as he did not qualify for the award of a 1914-15 Star. 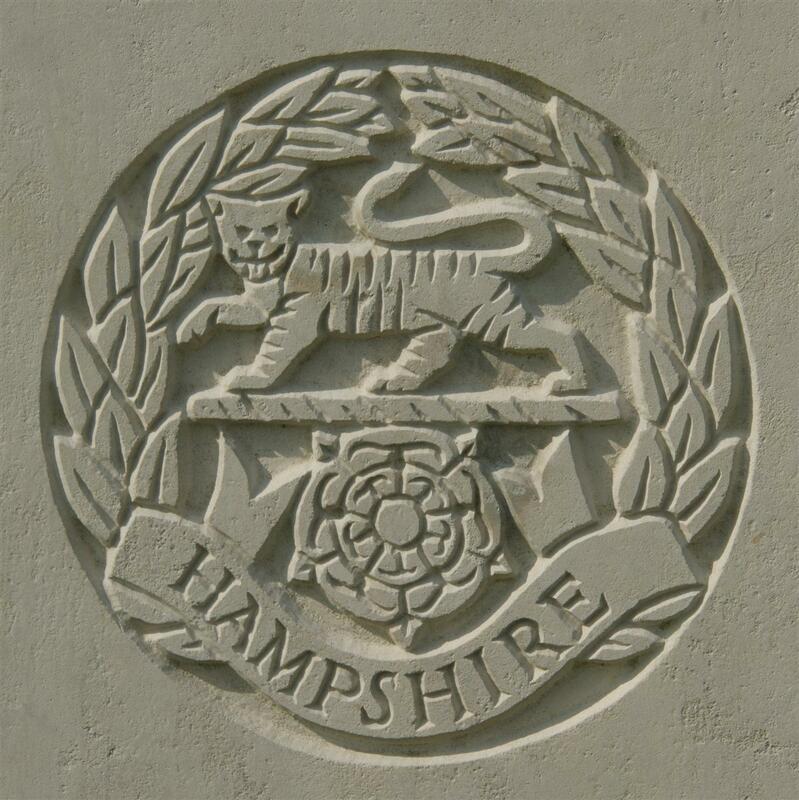 The regimental badge of the Hampshire Regiment, as used on CWGC headstones. The theatre of war he found himself in was Mesopotamia where he was drafted to the 1st/4th Battalion of the Hampshire Regiment, which had been in Mesopotamia since 1915. Walter would probably have arrived in time to join the parade as the British entered Baghdad 13 March 1917. By this time the Turks in the region were a beaten force and the 1st/4th Hampshires spent the following months on garrison duty near Baghdad. On 12 July the battalion set off on a 3 day march to Baquba, 30 miles north-east of Baghdad – the regimental history records that six men died and 35 more were hospitalised with heat stroke as the temperature reached 126oF. Official intimation has been received of the death of Walter Barlow, which took place on July 13 in Mesopotamia, from the effects of heat. Deceased was attached to the 18th Hants Regiment; he was the eldest son of Mr and Mrs A Barlow, of Speenhamland, and was 23 years of age. Last Sunday morning the bereaved parents received from his officer a letter saying their son had died in hospital at Baghdad, from heat, and was buried in the Cemetery for British troops just outside the north gate of the city. He was a good soldier, very smart, and while at Baghdad was often selected for “stick man” on guard, mounting parades, ie, the smartest and best turned out man on parade. He had never been very fit for this country, and had been in hospital three or four times; in January after a long and trying march, he fell in a fit from exhaustion. It is just this spirit of “sticking it” that makes the British Army what it is, and your son had that spirit, and his full share of it. 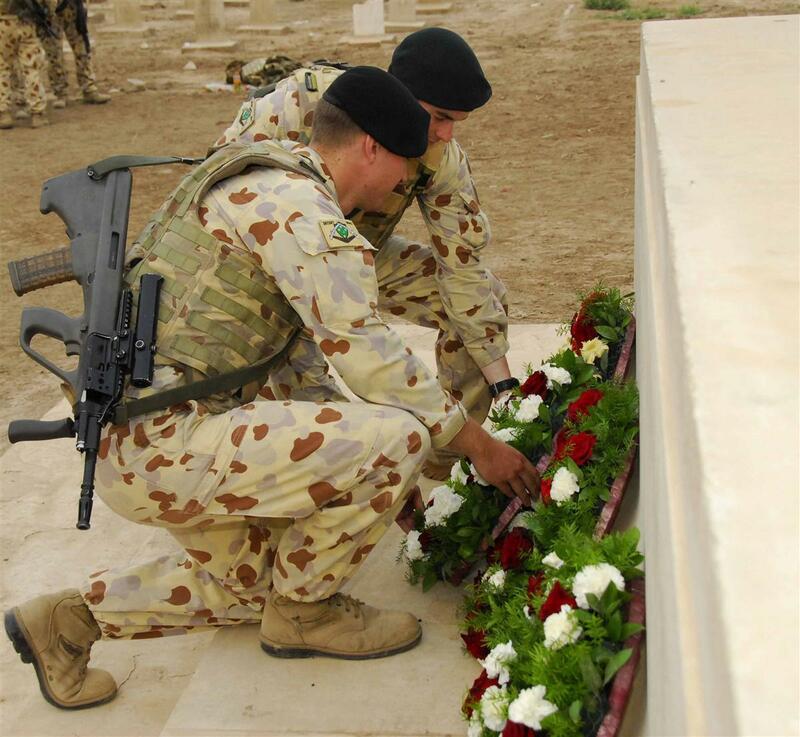 ANZAC Day Ceremony, Baghdad, 2009. He was buried in the Baghdad (North Gate) Military Cemetery in grave XV.F.1. This cemetery is not currently being maintained by the Commonwealth War Graves Commission owing to the political and military situation in Iraq. Many of the headstones have been vandalised by locals upset at the British involvement in the overthrow of Sadaam Hussein and/or the subsequent occupation of the country. On Anzac day in 2009 Australian soldiers operating in the area held an Anzac Day ceremony in the cemetery to honour the Australian and New Zealander servicemen buried there. 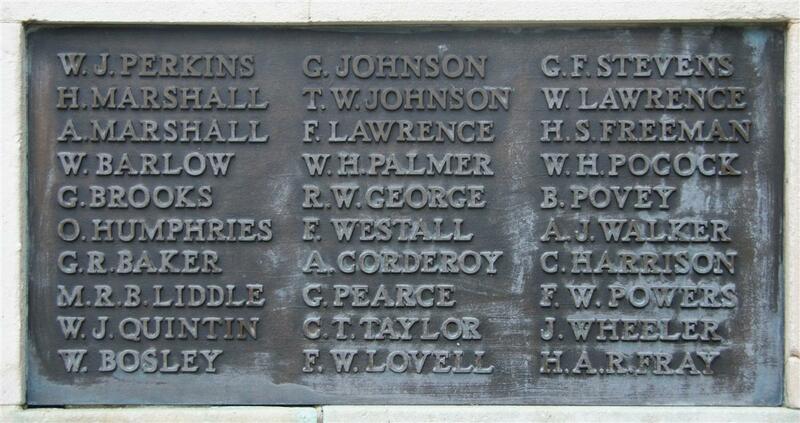 Locally Walter is remembered on Tablet 5 of the Newbury Town War Memorial, as well as the Speenhamland Shrine (originally in St Mary's. Speenhamland, but moved to St Nicolas Church, Newbury, when St Mary's was demolished). He was also remembered on the lost memorial from Speenhamland School.